For over 60 years Mill Hollow has been THE environmental education center for Utah. Mill Hollow caters to youth who are passionate about science and the outdoors. YMCA Mill Hollow carries forward that rich tradition of summer camp: skits, songs, campfires, s’mores, arts and crafts, hiking, and so much more while campers connect with the forest through outdoor education learning and exploration. With 3-day and week long programs, Mill Hollow serves youth ages 7-17 by turning Utah’s mountain landscape into an outdoor laboratory where campers have the opportunity to experience the natural sciences while getting a little muddy, making new friends, and having a whole lot of fun. Don't worry, we still have lots of spaces left for Mill Hollow! The system will start showing how many spots are left when we get closer to filling up. We believe every child deserves to experience the magic of camp. The cost of Mill Hollow may be more than you remember but without the school district subsidizing the program, $250 represents the actual cost of the 3 day program and transportation. We believe that should not be a barrier to any child attending. Financial assistance is available to every camper and family that needs it for all of our programs. Whether you only need a little help or a lot, we want to make camp affordable for you. Click below to find out more information about our financial assistance. If you're passionate about Mill Hollow and want to help future campers experience the magic, we would love your help. Click below to help us make sure every child gets a camp experience. 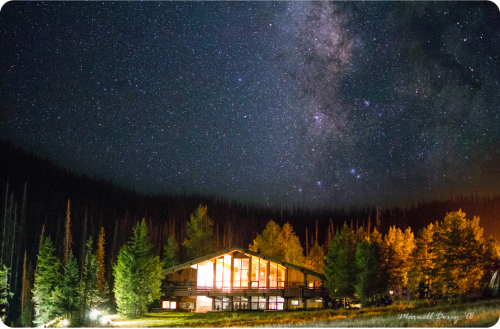 If you have any questions about renting the property, the registration process, financial assistance, or camp in general, please contact the office at 801.839.3379, or by email at camps@ymcautah.org. Since 1964, Mill Hollow has created life-changing experiences for campers and staff. Today, hundreds of thousands of alumni remember Mill Hollow as a premier outdoor education program that connected them to the natural world. In 2017 the YMCA of Northern Utah acquired Mill Hollow from Granite School District and began operating programming at the camp. With the support of alumni, we continue to operate YMCA Mill Hollow outdoor education programming.